Angle is the pivot around which the topic of Trigonometry revolves. Trigonometry studies angles and their relationship. When there is a single function or a single angle, the computation is comparatively easy. But there are various formulae for multiples and sub multiples of angles too. These multiple and sub multiple angles formula should rather be called as identities as they hold true for all angles. These formulae prove useful in solving intricate trigonometric equations. We shall just give an outline of these topics here. Those interested in going into the intricacies of the topics can refer the following sections. As the name suggests, trigonometric ratio of a submultiple of an angle means when we try to find out some trigonometric value of an angle of the type A/2 or A/3. 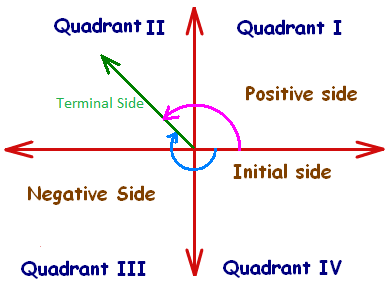 By convention, an angle measured in the anti-clockwise direction of positive x-axis is considered to be positive and hence, the angle measured in the clockwise direction is considered to be negative. Angle is an extremely important concept in trigonometry and the trigonometric results tend to change for negative angles. Multiple and sub multiple angles are an important topic of the IIT JEE syllabus. Multiple choice questions on multiple and sub multiple angles are often asked in various competitions. Students are advised to master these concepts in order to remain competitive in the JEE. 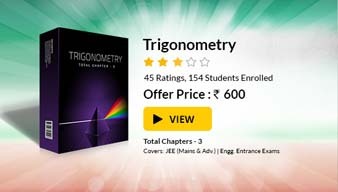 To read more, Buy study materials of Inverse Trigonometric Functions comprising study notes, revision notes, video lectures, previous year solved questions etc. Also browse for more study materials on Mathematics here.